So what kind of plan should you consider when your family resembles The Brady Bunch? What should you look for when the kids significantly outnumber the adults? Let’s take a look at a couple of options. Everyone likes to have their own space—even when they live in a large family. 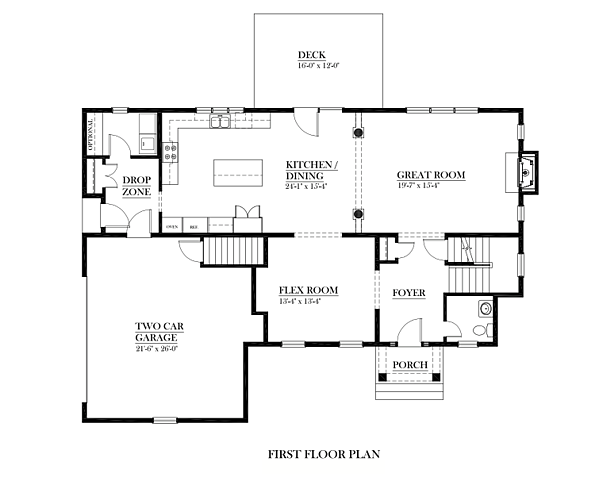 The Totoket Classic floor plan that you see pictured here offers that option in spades. Let’s take a closer look at the features on both levels of this beautiful home. We'll begin with the primary entrance to the home. I'm not talking about your front door—I'm talking about how your family will enter the house on a daily basis. You know you'll come in through the garage! This model features a spacious 2-car garage that opens into a drop zone. Rather than cluttering up the house with shoes, boots, coats, and backpacks or gym bags, your kids will have plenty of space for their stuff. Then there's a large dining/kitchen space with room for everyone that's open to a spacious Great Room. Nobody has to be cut off from the rest of the family when meals are being prepared. There's also a Flex Room that could be used for reading, gaming, music, or whatever you want without disturbing other family members. To top things off, there is a study/guest room on the main level. It could be a great home office—or a study room for getting homework or school projects done. And it can double as a spare bedroom if you have guests. You’ll have all of your family activities on one level—while still providing the chance to get away a bit if you choose. The second level of this plan provides plenty of sleeping space. In addition to a large Master Bedroom, there are 3 comfortably sized bedrooms that share a bathroom. And while the Master Bedroom has it's own Master Bath, you can make it available for the kids when things get hectic on school mornings. All bedrooms have good closet space and there is also the option for a laundry room on the second level (in addition to linen storage). All the bedrooms are located upstairs to provide quiet space away from other family activities. 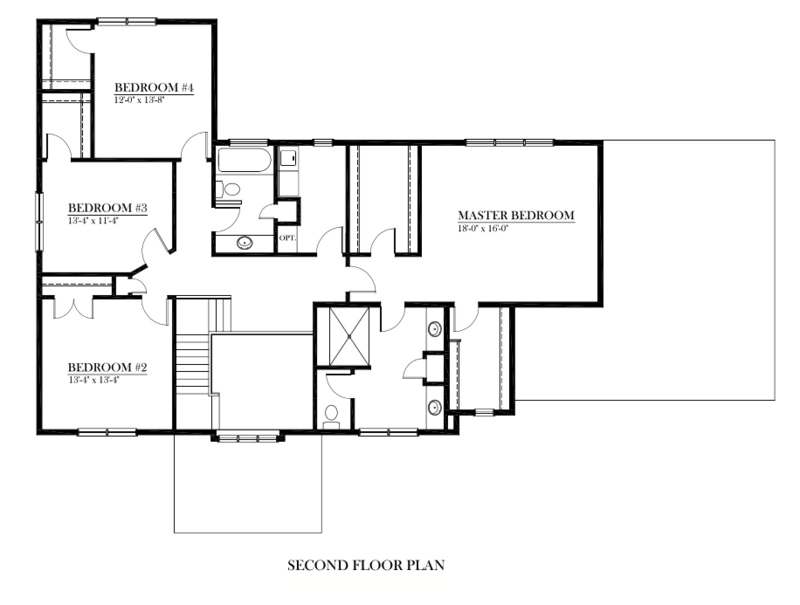 Click here to take a closer look at the details of the Totoket floor plan. Maybe you don't need quite as much space as the Totoket offers. The Franklin floor plan still provides your family with plenty of space for everyone on a slightly smaller scale. 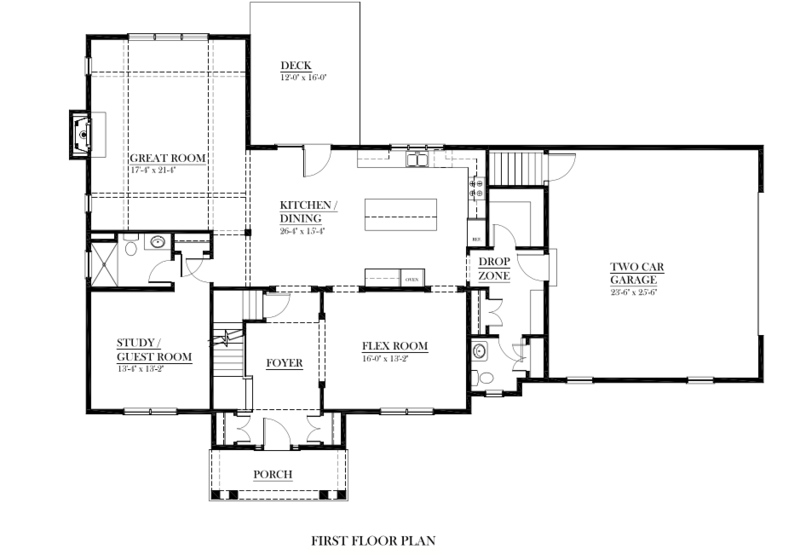 Here’s a look at how this floor plan plays out. The Franklin floor plan also features a 2-car garage with an entry into a drop zone and optional launder room that will help keep things neat and tidy. You’ll also have an entrance directly into the large kitchen/dining area that opens directly into the spacious Great Room—creating a wide-open space that never feels crowded. As a bonus, the kitchen/dining area also opens onto a spacious deck at the rear of the home. There’s also a powder room on the main level for family and guests. This plan also offers a spacious Master Bedroom/Bath on the second level along with three good-sized bedrooms for the children and a full bath for them to share. As a bonus, there is a loft room that allows kids to be alone (for reading, listening to music, or possibly watching television) if they need some “alone” time and don’t want to feel confined to their rooms. 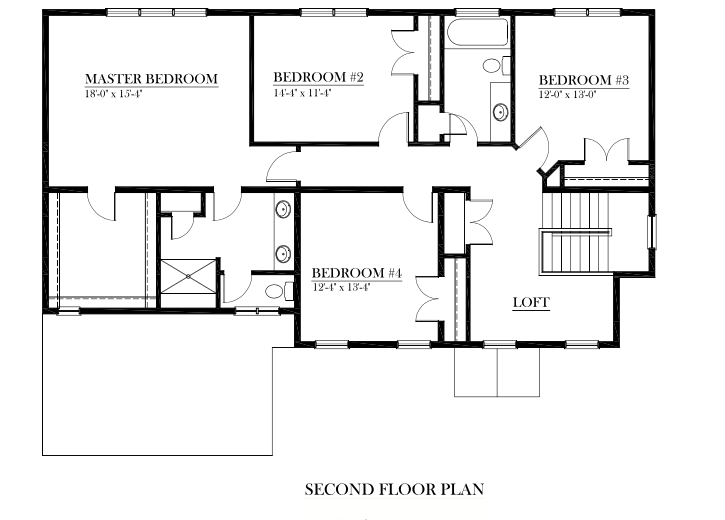 Click here for a more detailed look at the Franklin floor plan.